Having healthy teeth is one of the most important aspects of your horse’s overall health. Without regular maintenance, your horse could have difficulty eating and potential mouth soreness. Do these sound familiar? Your “chow hound” gelding who never misses a crumb is dropping grain and not cleaning up his hay, or your lovely pleasure mare suddenly resists having her bridle put on and tosses her head while being worked. Both of these situations could be stemming from a tooth problem and a dental exam should be scheduled. 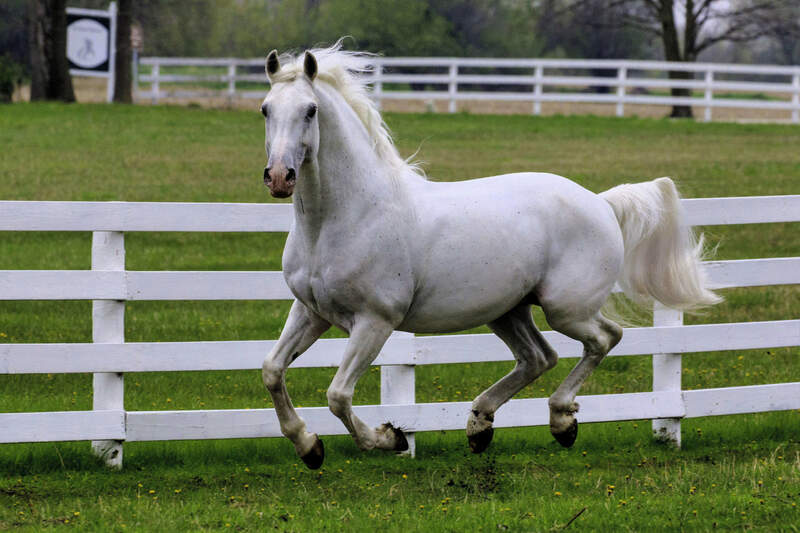 Normally, a horse uses his incisors – the teeth in the front of his mouth – to rip and tear grass while he eats. When examining a horse’s mouth, these front teeth should meet evenly together. When the lower jaw is longer than the upper, it’s called an underbite or “undershot jaw.” When the upper jaw is longer than the lower, it’s an overbite or “parrot mouth.” Both of these congenital defects will cause the horse to have a difficulty chewing and will need regular dental care. If the whole lineup of teeth is offset, it will lead to abnormal wear; unfortunately, there are not a lot of orthodontic options for a horse with a severe off bite. Much of your horse’s chewing centers around his premolars and molars. These “cheek teeth” grind and break up tough fibers in grass, hay and leaves as the first step in digestion. The work of the enzymes in the stomach and intestines is simplified by the crushing of these tough fibers. Since much of the chewing motion of horses is side to side, it can result in sharp points at the edges of the cheek teeth. These sharp points may irritate the flesh of the cheeks or tongue if not filed down. When you are riding, the bit or bridle may cause them to hurt your horse. The first signs that your horse has a dental problem may be subtle. You may suddenly notice that he is not cleaning up all his hay or notice unchewed food in his manure. He may dribble grain when eating or even leave some grain or pellets behind, previously unthinkable. If left unaddressed, there may be weight loss, bad breath, head shyness and/or swelling on the face. 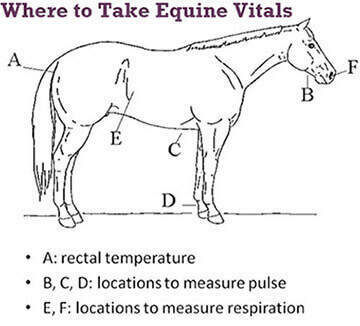 If you board your horse, you may miss those signs that come with daily care. Instead, you may have difficulty putting the bridle on or notice your horse carrying his head abnormally or head tossing while working. Even tail switching could be a sign of pain. Rarely, you may notice blood on the bit after you ride from cheek or tongue abrasions. Any of the signs mentioned above justify a call to your veterinarian. In most states, only veterinarians or trained technicians are allowed to perform equine dentistry. In some states, however, non-veterinary equine dentists can work on horses under certain restrictions (and sometimes only under veterinary supervision). The International Association of Equine Dentistry (IAED) has standards for equine dental practitioners. Members of this organization have a special interest in equine dentistry and have often taken extra courses for expertise. Generally speaking, most equine veterinarians will be familiar with basic equine dental care. Most often, the only action required is to “float” the sharp points. This means either wearing them off the teeth with a metal file or using a grinder to remove them. Sedation is required for some horses. In addition to floating off rough points and edges, your veterinarian may shape some of the cheek teeth into what’s called a “bit seat.” Generally, the first four cheek teeth will be smoothed out and rounded to allow for comfortable contact with the bit in your horse’s mouth. The goal is to keep oral tissues, such as the cheeks, from being pulled tightly against sharp angles on the teeth. It is not to create a groove for the bit! Sometimes a horse will have an abscessed or broken tooth that requires removal. Before removal is attempted – never an easy task! – many veterinarians will recommend oral medication, which can resolve many abscesses while leaving your horse’s dental count intact. If a tooth is removed, expect a fair amount of aftercare. The empty socket will require daily cleaning and your horse may need a special diet for a while. Most owners prefer to try the oral medicine route first. One exception where removal is often recommended is the development of “wolf teeth.” These are small teeth that generally erupt between 18 months and three years of age. They arrive between the incisors and cheek teeth – right where the bit normally sits. If your horse has a problem evidenced by head tossing or resisting the bit, it could be a wolf-tooth problem. These teeth can be removed under sedation since they aren’t as big as the cheek teeth. The best way to handle equine dental problems is through prevention. There is a tendency not to worry about equine dentition until horses reach their senior years, but younger horses especially can benefit from preventive check-ups. You should have your horse’s mouth examined every 6 months to a year during his physical. With younger horses, your veterinarian will be looking for problems with wolf teeth and retained caps (the remnants of deciduous teeth). Any signs of malocclusion will be evident between the ages of 18 months and three years, so plans for regular floating can be made. Obviously, any sharp points will be noted and taken care of as well. With regularly-scheduled exams, you should be able to nip any tooth problems in the bud and your horse will thank you!